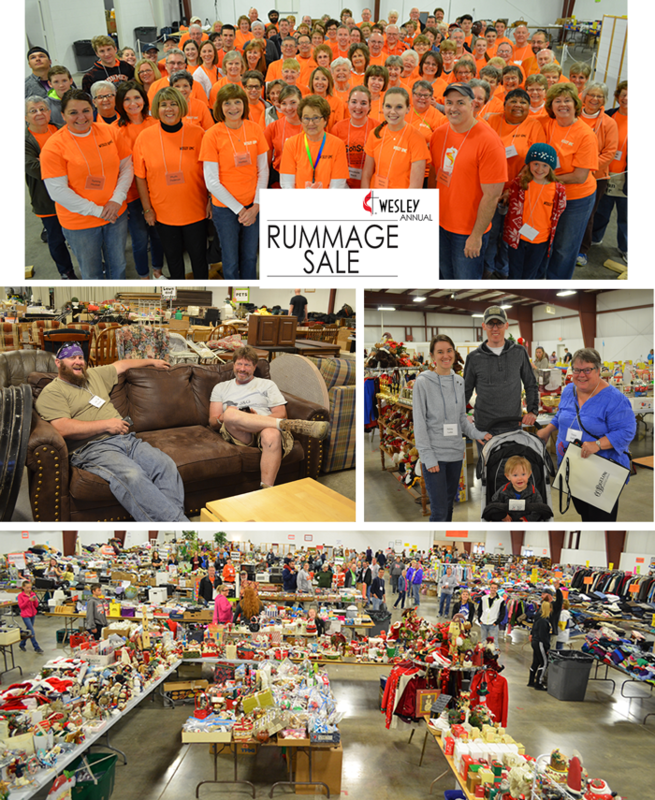 To help provide a wide variety of lower priced items to the greater Bloomington-Normal community, and to support outreach and missions of the church, Wesley United Methodist Church will hold its large, annual rummage sale. The highly anticipated sale is scheduled for Saturday, May 4, at the Interstate Center (1106 Interstate Drive, Bloomington), from 8:00 AM to 2:00 PM in the West Expo Building. All proceeds go to United Methodist Women missions and Youth missions and outreach. Admission is free. Each year, more than 20 departments including clothing, shoes, books, housewares, antiques, furniture, tools, sporting goods, electronics, baked goods, and others will fill the Interstate Center West Expo Building. A bake sale will be also be included. Originally the Wesley Rummage Sale took place in the church building, however as the sale grew in size and scope, the sale was moved to The Sale Barn in 2000 and then to the Interstate Center in 2012 after the Sale Barn was torn down. The annual Rummage Sale dates back to the 1970’s. Held every spring, the sale is by far the largest community effort sponsored and managed solely by Wesley United Methodist, Bloomington. Donations from church members, their family, friends, and neighbors are accepted during the week prior to the sale. Hundreds of volunteers put in more than 4,000 hours each year and brought in over $29,000 for Wesley activities and missions in 2017. If you would like to help, please CLICK HERE to download the 2019 Volunteer Form. For questions, contact Brenna Martin, Rummage Sale Chair, at 309.827.8046 or email at bmartin@wesley-umc.com.